Fresh eyes on London: When the Sky is Grey.. When the Sky is Grey.. When the sky is grey and the light is not great, reflections in puddles can make a more interesting picture. 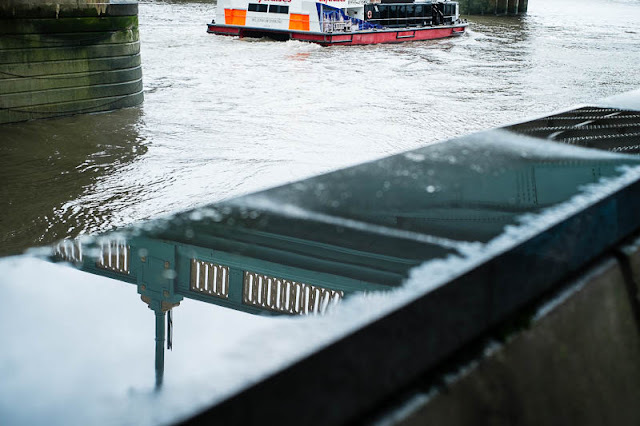 A glimpse of Southwark Bridge reflected in the rain water on the wall below. That is an amazing shot, sorry you have rain though! The Save One spammer has resurfaced... that's the third time today I've seen him.